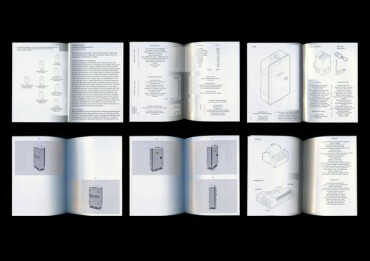 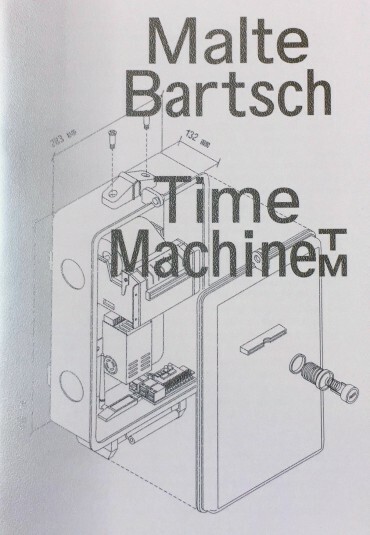 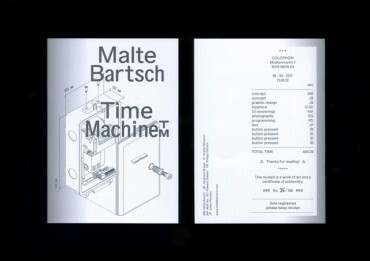 The Time Machine booklet is an artist publication as well as a manual of the Installation “Time Machine”. A Machine at which visitors press a button and a cash receipt is printed as long as the button is pressed, telling how long they pressed the button. Each booklet is delivered with a unique cashreceipt pressed by the Artist Malte Bartsch in his studio in Berlin. The booklet is a co-work with Johannes Breyer from Dinamo Typefaces and is an artwork itself.